How to estimate the condition of a poster. Insert Poster Frame. 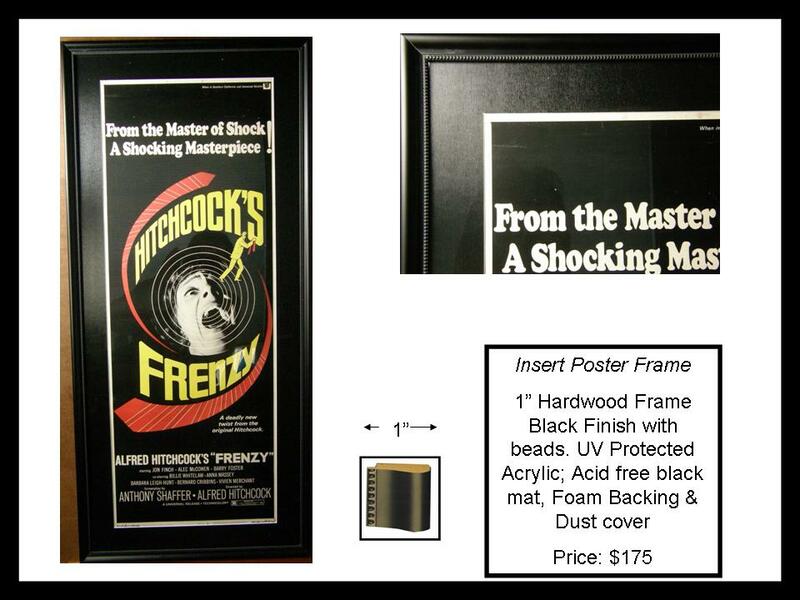 We offer framing for insert and half sheet movie posters for the greater Houston area and for pickup only. In this example we use a 1″ solid wood black molding with beading and a gloss finish acid free mat to enhance the image. Of course we have other colors of mat and frame available to review at The Limited Edition in Katy. We use UV protected Acrylic instead of glass in almost all cases and acid free foam backing boards and dust covers also. The Limited Edition Art and Antiques was established in 1994 in Historic Downtown Katy, Texas and features an eclectic variety of antiques, ephemera and original folk art created by the proprietor Elizabeth Proctor. We specialize in the sales, linen backing, restoration and framing of vintage posters, We purchase collections and offer consignment services for your collections. Visit us twice a year at the Round Top Antiques show! You can find us at the Red Barn located in the town of Round Top.